06-02-2017 Made to Break and Simple Lines available now! 04-29-2017 Decyle lyrics now available. Next show is two weeks away! It'll be our first with new member Mark Valentino on keys. Fresh merchandise and special deals will be available at our next show, May 13th, 2017 Nice Garage at Ripe Art Gallery in Huntington, NY. 01-23-2017 This year will have a lot in store for Superfecta. Check back soon for a major announcement and show updates! 11-14-2016 Decycle is now on Spotify! See you at our 11/26 GoldSounds show with Buthchers Blind, Roger Street Friedman, and Derek Smith! 10-23-2016 Less than two weeks until our new EP comes out. Celebrate with us at the Bitter End November 4th. If you can't be there, you don't have to experience full on FOMO. Snag a t-shirt at our new webstore!!!!!! Limited edition colors will be available only at shows. They all come with a free CD copy of Decycle! 09-19-2016 "Queen of Ages" single release show is tomorrow night at Piano's Upstairs. Don't miss this free show and early sneak peak of our new EP Decycle out November 4, 2016! 06-28-2016 Superfecta is welcoming the summer season by hitting the studio this July. Check out the tour dates we have this summer. Do It Again music video out soon! 05-27-2016 Happy Memorial Day Weekend! New song is up. Just in time for the unofficial start of summer. Stream it in the media page. 04-18-2016 Thanks for a great weekend of shows at GoldSounds and Bryant Library. New show dates are on the tour tab. Get "All of These Places" at our Bandcamp Page or through major online retailers. 03-11-2016 Well, it's almost spring time and there is a lot going on in Superfectaland. We'll be taking some rest time before gearing up for a big weekend of shows in April. Current dates are in the tour tab. Make sure to check out "All of These Places" at either our online store or major digital retailers. See you soon! 01-24-2016 Now that you all have survived Blizzard Jonas of 2016, focus on the week ahead. We are playing a 10:30 PM time slot at Pine Box Rock Shop in Bushwick, Brooklyn. Dress warmly, see you all soon! 01-02-2016 Happy New Year Superfectanation! We will be taking it easy for the next few weeks with writing new songs and are heading into the recording studio. Look out for shows in February and March 2016 that will feature new material and current favorites. 11-27-2015 Superfecta wishes you well in your post holiday recovery! If you missed our performance at The Shrine, don't fret, you can catch it at http://livamp.com/superfecta Stay tuned for show announcements! 10-05-2015 Thanks to everyone who came out last night for our Album Release show! We will keep you posted on some future shows. Head on over to the media section to stream our first album "All of These Places." Buy at http://superfectabanda.bandcamp.com Name your price! 09-24-2015 Just one more day until you can get our album! Want to hear it before the 9/25 release. Head on over to the MEDIA section or www.soundcloud.com/superfectabanda/ for a full stream! 09-06-2015 Enjoy that last bit of summer lounging! In two weeks, All of These Places, will be available to your eyes and ears. This weekend we will premiere a second track from the album. Use this link http://bit.ly/1fCRJgR for free downloads of all available songs. 08-25-2015 Superfectanation, the day is here! http://bit.ly/1fCRJgR Head to our Soundcloud webpage to download "Talking To Myself." It is also available for stream in our media section! Lyrics by Jim Best. Composed by Jim Best and JP Leonardi. Performed by Jim Best, Mark Carman, JP Leonardi, and Agustin Real. Recording and Mixing by Evan Cooney at Sound Farm NYC. Mastering by Brian Lucey at Brian Lucey's Magic Garden Mastering. "All of These Places" out September 25th! Stay tuned for more updates this week. 08-13-2015 What a summer it's been. We just ended our stretch of shows in Brooklyn and Manhattan. It was so great to see everyone and preview new material in addition to songs off our album "All of These Places." Stay tuned to this page for links to a stream and download of "Talking to Myself" on August 25th. 06-13-2015 Final mixes are coming along. Check the tour dates for upcoming summer shows as we have a bunch of them. Will keep all y'all posted about a Fall 2015 release date for our EP. 05-17-2015 So we finished tracking our EP yesterday! We may have a title for it as well. In the meantime, just know that we got two great shows coming up. On Thursday we will be at Williamsburg's Trash Bar. The second one (June 25th at Bryant Library) is free and open to all ages! Check the tour section for all current dates. 04-30-2015 Check out the Tour section for our new Brooklyn date in May. We will be bringing our power jam's over to Williamsburg's Trash Bar. Shortly, we will confirm our June date out on Long Island. What a mini-strech of shows! We've now had enough time to recover. Thank you to everyone who came out to Still Partners and Mercury Lounge. Could not have done it without Superfectanation. To reward all of you out there, we have uploaded a live version of an EP song you haven't heard yet. It is called "Always Waiting." We hope you enjoy it! Welcome to our new website! Should cover all your Superfecta needs and wants. Yesterday we began tracking our as yet titled EP at SoundFarm NYC. The experience with Evan so far has been amazing. To celebrate we put up a live sneak peak of our single "Talking to Myself." Check it out in the media section. Our efforts are also on social media at #superfectabanda. To make your Monday a bit brighter, we also have for you a video of our non-EP song "Happy (Do You Want To?)" and our cover of Alejandro Escovedo's "Castanets." 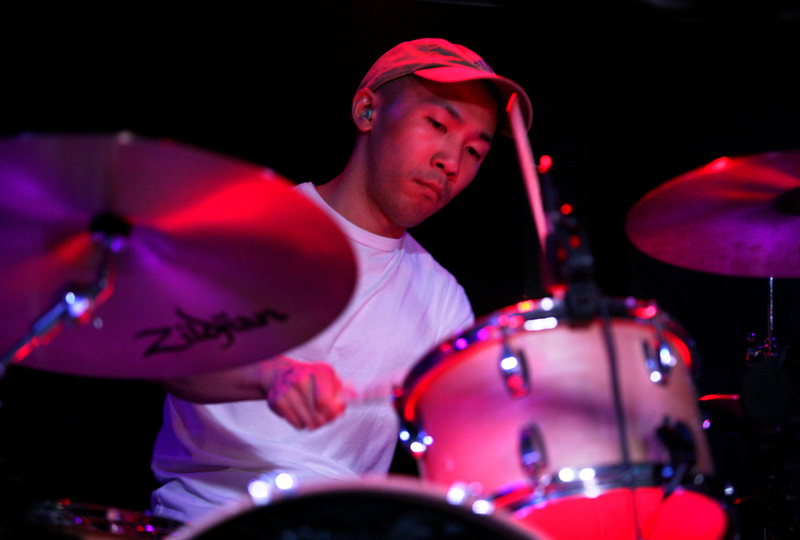 New photos are up from our April show at Mercury Lounge. Thanks to Kitty at Shutterfire Images for her great work! 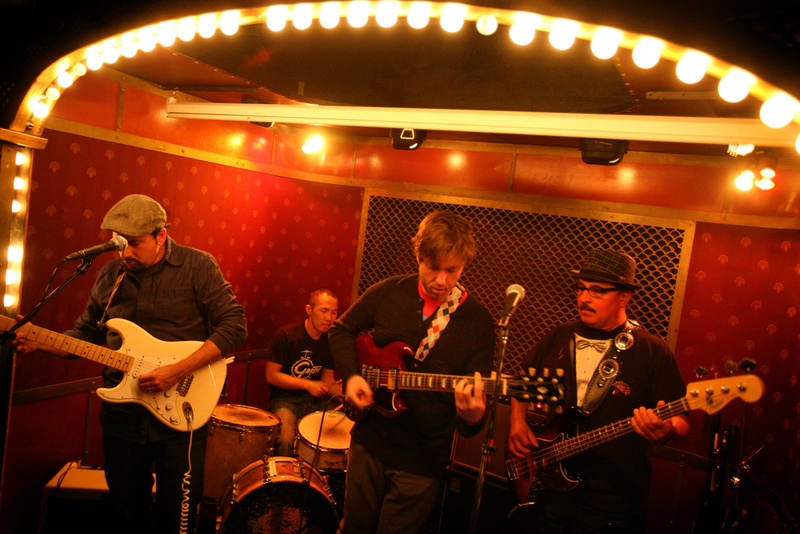 Superfecta is a quintet from the greater NYC area. We are still about order, precision, and calamity simultaneously occurring. What brings us together isn’t just the energy we feel performing. The glue that keeps us bound to each other is a love of rock and roll. Now more than ever, with new sonic layers mixed in, Superfecta is five men striving to express themselves by capturing experiences into words and notes that are both familiar and fresh.